The "Zero-400-Zero" Bugatti Chiron has made its world debut at the 2017 Frankfurt Motor Show. Here are world-record-breaking super sports car's images from the show. On September 11, 2017,.. The Bugatti Chiron made its world debut at the 2016 Geneva Motor Show this month and is currently available to order. Here's a pictorial comparison of Molsheim's latest megacar stacked above its..
Could go on sale in 2018. 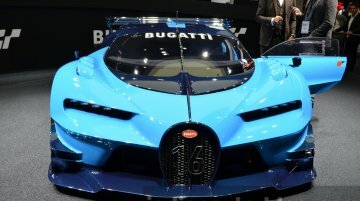 At the 2016 Geneva Motor Show this month, Bugatti unveiled the Bugatti Chiron, the production version of the Bugatti Vision Gran Turismo that was introduced at the 2015.. Capable of hitting a top speed of 261 mph (420 km/h). 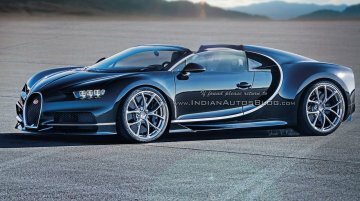 After much anticipation, Bugatti has revealed the Bugatti Chiron at the 2016 Geneva Motor Show. 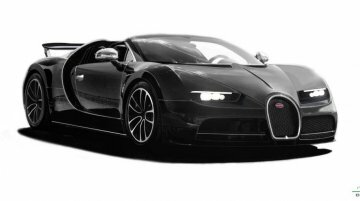 It is the long awaited successor to the..
Will be the convertible version of the Bugatti Chiron. Less than two months after it introduced the Bugatti Vision Gran Turismo concept at the 2015 Frankfurt Motor Show (2015 IAA), Bugatti..
To break cover at the 2016 Geneva Motor Show. 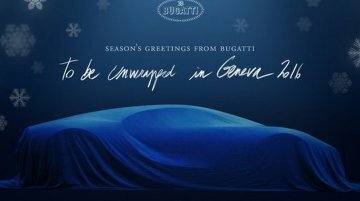 Bugatti has dropped a new teaser video of the Bugatti Chiron, ahead of its world debut at the 2016 Geneva Motor Show in March. 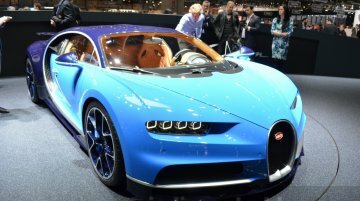 Bugatti has already teas..
To break cover at 2016 Geneva Motor Show. A report from Magazin Prodriver CZ claims that the Bugatti Chiron is capable of hitting a top speed of 467 km/h (290 mph). This bit of info comes from.. Rumored to output 1500 hp from 8.0L W16 engine. 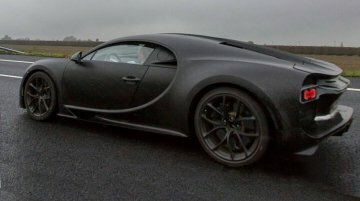 A new video of the exposed Bugatti Chiron prototypes has surfaced online, this time spotted testing along with a Bugatti Veyron SuperSport WRE, its..
Limited to 500 units reportedly. 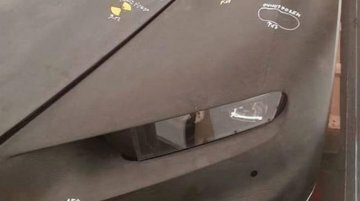 Bugatti has released the first official teaser of their next hypercar, dubbed as the Bugatti Chiron, which outlines its design, muscular fenders and sloping..
Reported to have a top-speed of 500 km/h. 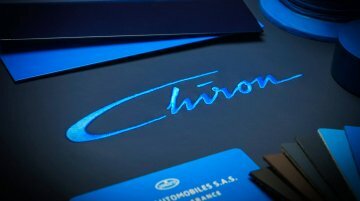 Bugatti today confirmed that the replacement for the Veyron will be named 'Chiron', thereby confirming previous speculations and rumors of its name. Furthe..
To produce 1500 PS, reportedly. 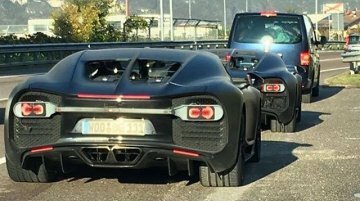 Two prototypes of the Bugatti Chiron have been spotted testing, revealing the rear-end design of the upcoming hypercar. It is expected to debut at the 2016 Geneva..
Could debut at the 2016 Geneva Motor Show. 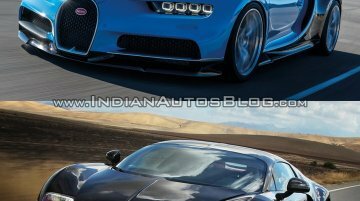 Bugatti has, according to internet reports, been hosting several private unveilings of the upcoming Bugatti Chiron (name unconfirmed) well ahead of its..
Will reportedly feature 15 radiators to cool the revised W16 engine. 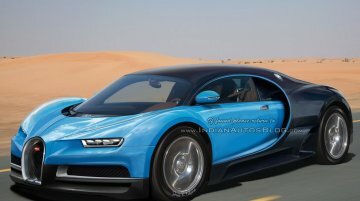 Thanks to Autogespot's sources who had access to a private preview of the Bugatti Chiron (name unconfirmed) in Dubai, several te..
Will reportedly get a 1,500 hp powertrain. 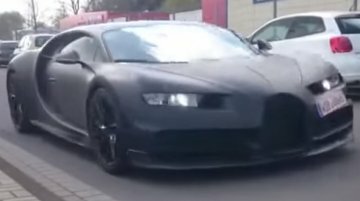 The successor to the iconic Bugatti Veyron, the Bugatti Chiron, has been spied testing with protective body work in Italy. Two different variants have.. Rumored to produce 1500 PS from a quad turbo 8.0L W16 engine. 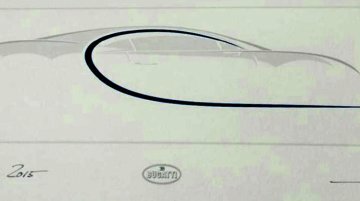 Following spyshots of the Bugatti Chiron's crash test mule, IAB's graphic artist, Shoeb R Kalania has created a render of the Bugatti..
Update: The article has been updated with images of the Bugatti Vision GT from the IAA show floor Previews Bugatti's future design direction. 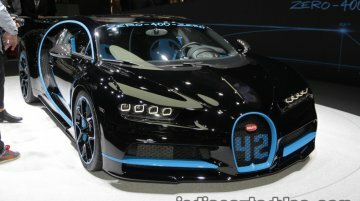 Following the end of the Bugatti Veyron's production..
To debut at the 2015 Frankfurt Motor Show. 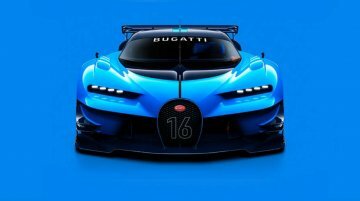 Bugatti has joined the bandwagon of manufacturers that have created exclusive design prototypes for Sony's Gran Turismo racing simulator, which is surpris..